Players qualified for selection are those born on or after January 1st 1995 and a number of players playing in the current season of the Telekom S-League have been identified for the training squad. A number of other players called to attend training are from the former LEARN&play Program. However, SIFF is calling on players who fit the age requirement but are not playing in the Telekom S-League or other sanctioned competition to register for training. Proof age will be required for final selection so players are advised to present their passports and/or birth certificates. The first meeting will take place at the SIFF academy complex on Monday 3rd February, 2014 at 3:00pm. Every player is asked to make the effort to attend. The upcoming tournament also serves as the qualification process for the 2015 FIFA Under-20 World Cup which is to be staged in New Zealand. With New Zealand out of the picture, at least from the qualifiers as hosts of the final competition, the race is for the first time only between island countries. Winning the competition would mean direct qualification to the FIFA U20 World Cup alongside New Zealand. 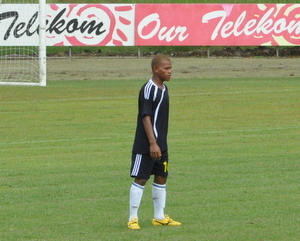 Solomon Islands’ last participation in this age category in the regional level was in 2011 when the competition was hosted by New Zealand – Solomon Islands finished second behind New Zealand. A decision whether to attend the OFC U-19 Championship in May is still pending. As well, OFC is yet to decide a venue for the competition.